Humans have created 8.3 billion metric tons of plastics since large-scale production of the synthetic materials began in the early 1950s, and most of it now resides in landfills or the natural environment, according to a study published in the journal Science Advances. 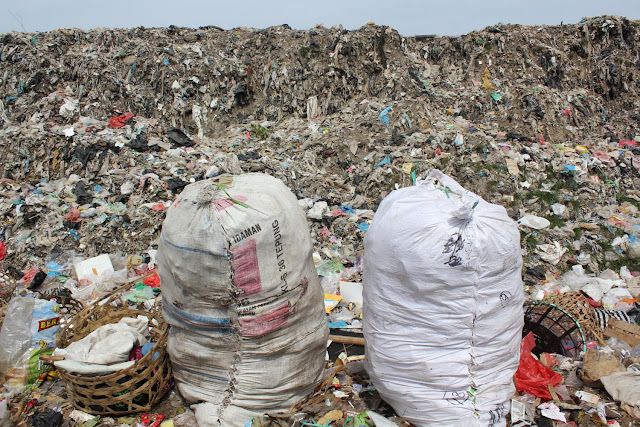 The researchers found that by 2015, humans had generated 8.3 billion metric tons of plastics, 6.3 billion tons of which had already become waste. Of that waste total, only 9 percent was recycled, 12 percent was incinerated and 79 percent accumulated in landfills or the natural environment. 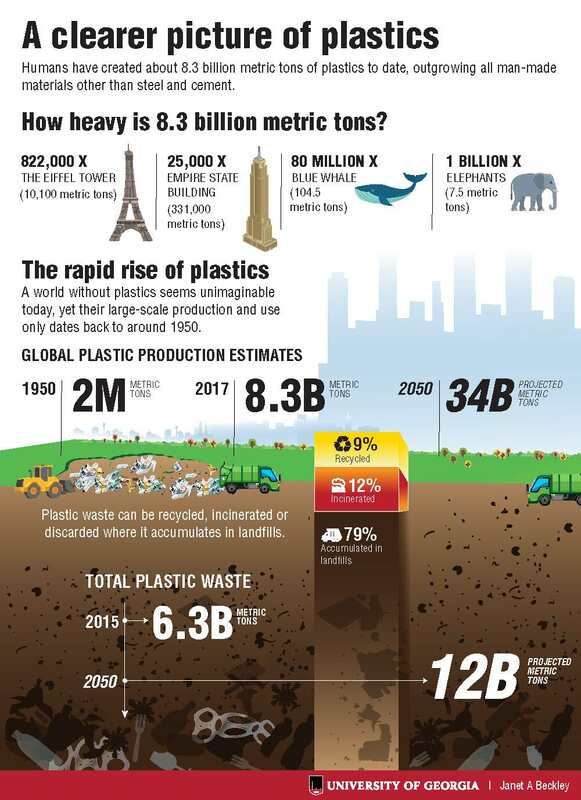 Global production of plastics increased from 2 million metric tons in 1950 to over 400 million metric tons in 2015, according to the study, outgrowing most other human-made materials. Notable exceptions are materials that are used extensively in the construction sector, such as steel and cement. "Roughly half of all the steel we make goes into construction, so it will have decades of use -- plastic is the opposite," said Roland Geyer, lead author of the paper and associate professor in UCSB's Bren School of Environmental Science and Management. "Half of all plastics become waste after four or fewer years of use."